Each composition is full of perfect turns and changes on top of being as smooth as silk. This ear warming style Lifesigns has concocted, is some of the most wonderfully harmonious progressive rock you will ever hear. It is both memorable and accessible to everyone. The main members of the present lineup are John Young (lead vocals, keys), Jon Poole (bass), and Frosty Beedle(drums, backing vocals). Note that Jon replaced Nick Beggs on bass after debut Lifesigns. A number of great guests appear including Chris Taylor (backing vocals), and some superior guitarists featuring Dave Bainbridge (Iona, Strawbs, Celestial Fire, solo), Niko Tsonev (Stephen Wilson), Sir Robin Boult (Fish, Howard Jones, Stephen Wilson) and Menno Gootjes (Focus). After just one listen it is obvious these players added a huge jolt of lead guitar and emotion to the overall recording. If you are asking for references, you may hear the first few seconds of the opening song sounding like Styx. But quickly the comparisons range from a strong gesture to Camel/Andrew Latimer, Peter Gabriel, Mike & The Mechanics (more lush and not quite as poppy), and the more mellow songs of Queensryche. The formula is utterly enticing. 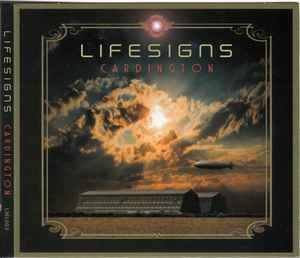 The icing on the cake is the title cut (last track) ‘Cardington’ that has the most kindred atmosphere of Andrew Latimer. 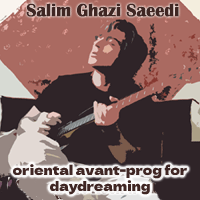 It leaves the listener with a overpowering sense of both calm and contentment. That is until you come back to reality and start craving the next release by this consistent and gratifying group of musicians called Lifesigns. RECOMMENDED.